Air freight is a safe and efficient way for immediate transportation. Air cargo always has high value-to-weight or have a severe timeline. At CFC, we want to be your single source for your supply chain solutions. We do this by working in virtually every aspect of the logistics management, including shipping via air. Here this page will guide you to China air freight, including the advantages, cargo types, a sample airway bill, shipping process, china main airports list and more. Keep reading. Air Waybill, is a non-negotiable transport document issued by the carrier (Master AWB) or the agent (House AWB), which indicating that the carrier has accepted the goods listed therein and obligates itself to carry the consignment to the airport of destination according to specified conditions. International Air Transport Association, which supports airline activity and helps formulate industry policy and standards of the world’s airlines. Estimated Transit Time is for estimation purposes only and commonly can NOT be guaranteed although most shipments will depart and arrive as scheduled. Aka Chargeable Weight or Billable Weight. Carrier charge for freight based on the dimensional weight or actual gross weight whichever is higher. The MOQ is 45 kgs. The rate class is +45kg, +100kg, +300kg, +500kg, +1000kg. The courier cost less if < 100kg for most destination countries. You can simply take it as air container just like sea container. Not much attention needs to pay. * If the cargo exceeds below the weight and volume, the carrier can determine the allowable maximum limit and volume cargo base on the flight model, departure and destination airport handling equipment conditions. The best thing with air shipment is speed. In general, the transit time from China is no longer than 10 working days. Only 3~5 days in most cases. This is a vast reduction compared to ocean freight. Nowadays, the fast delivery time alone can make a huge impact on a business niche. Please note that air freight is just to-airport delivery. You or the freight agent needs to handle the customs clearance and inland transportation to your warehouse, while courier services such as DHL/FedEx/UPS/TNT can be the one stop to-door delivery provider. Such as electronics, Jewelry, pharmaceuticals, wristwatches are high value. The electronics industry accounts for around 40% of the value of the entire international air cargo industry. They need to be transported in a very good condition. The air shipping cost more than sea shipping, but means nothing compared to the value amount of products. Including living animals, goods that are dangerous or need temperature control. For example, some chemicals are dangerous goods, and seafood that requires refrigeration and freezing during the whole-course cold chain transportation. Perishable or hazardous goods are subject to different regulations, compared to general cargo. They have to pass through various inspections and need to meet numerous requirements, and not every airline can accept these items. Make sure that you advise in detail about special goods you want to ship. Because leaving out any detail might lead to penalties/extra fees and denial of shipment. Most of the special cargo can be classified as general after tested by the authority. And there should be a report – Identification and Classification Report for Air Transport of Goods shown to the carrier before loading. Other restrictions will apply due to national laws and regulations of specific airlines. Please note that most of the airlines are saying NO to the following names or descriptions of the commodity: Lithium Battery Toys, Scooter, Hoverboard, Power Supply, Power Bank, Air Bag, Electric Board, Electronic Board. Air cargo rate is calculated by chargeable weight, measurement unit is kilogram. The measurement unit of valuable cargo is 0.1 kg. 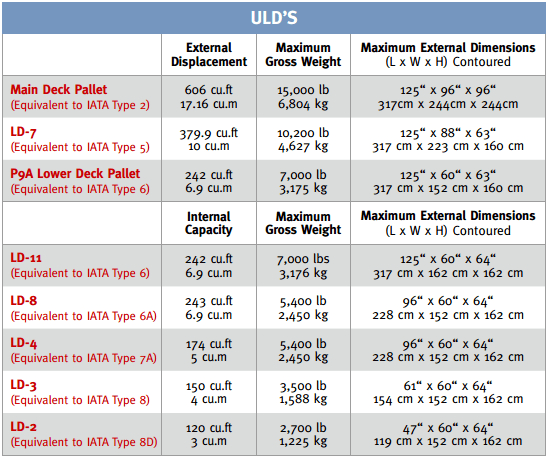 Chargeable weight is the heavier one between gross weight and dimensional weight. * If the weight is less than 21 kg, then the minimum chargeable unit is 0.5 kg; If more than 21 kg, then 1 kg. We have detailed this topic via here. If you have read our blog about Bill of Lading, you can also understand the AWB. AWB is almost the same structure as Ocean Bill of Lading (OBL). An Air Waybill is a documentary proof of the contract of carriage between the shipper and the carrier. The rule of AWB played in an international shipping is almost the same as OBL, but AWB doesn’t serve as a document of title. This is the most significant difference. The words non-negotiable are printed at the top of the Air Waybill, and must not be changed or removed. The AWB will be delivered with the air cargo. So as soon as the plane departs from the loading airport, the cargo rights will be transferred to the consignee. The consignee can only show their identification to claim the shipments. The AWB cannot be transferred. That’s why you have to pay freight costs before departure from China. There’s a column called “Rate Charge” in the middle of an AWB. This rate will be automatically generated by the airlines according to IATA, and can NOT be modified. The charge shown is higher than you really paid. Each AWB has its unique number. You can find this number on the head section. 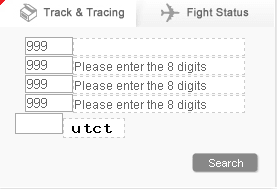 By submitting the number on the tracking page of the airline’s official website, all updated tracking information will be available. The bill format is 2 airline code + 3 numbers as prefix + several numbers. Example, Air China Cargo, CA as the airline code, 999 as prefix. Some carriers will provide a free service called email alert. When the goods moved, the updated status will be sent to you shortly. Take advantage of that. In international air transport, there are standard short name of each airport created by IATA. The airport short name is formed by three capitalized letters for easy recognition. Distance Air is most preferred for a direct city to city transport and on the most direct routes between countries. Sea is preferred for shipments that need to travel great distances spanning the vast oceans. Type of Cargo Unless special aircraft chartered, there are limited dimension and weight for loading. Apart from the traditional parcel or box freight, sea is also used to transport heavy equipment, cranes, project cargoes, etc. Time Sensitivity This mode is chosen mostly due to its quick transit time and their usually reliable scheduled arrival and departure times. Benefits may be lower inventory carrying costs and the opportunity to capture market share. A transit time of a month from point to point is quite normal for a sea freight shipment. Cost Air cost higher mainly due to the capacity available on a plane, the higher fuel consumption and operational costs of a plane. A cargo ship can carry much more at once. Safety of Cargo Airport regulations are controlled quite strictly and these regulations include the storage, handling and securing of your cargo. If the cargo inside the container is not packed properly, or LCL, there is a risk of cargo getting damaged. Accessibility Ashandled quicker, there may not be congestion at the airports as compared to the long queues at the sea ports. Even had, it could be solved in days. Periods of severe congestion in sea ports could happen, which brings with it its own problems of additional costs like demurrage and detention. A shipment may have various requirements regarding the mode of transport to be used, but essentially, it comes down to the nature of the freight, the time frame and how much budget. You’d better seek a good balance between the service quality offered, cost component, the reliability of the service provider and time frame. Also, it’s important to always keep an eye on both the air and ocean markets as both are extremely volatile. In many cases, depending on how market rates are moving and other market dynamics, one mode of transport can be chosen over the other. We suggest you buy FOB, and let your supplier handle the inland trucking to the airport. If the incoterm is EXW, we can also pick up for you. Quote → Book → Pay, job done from your side. Let us do all the rest heavy job without disturbing you. You can expect the response within 12 hours. We discuss more, and come to an agreement. We contact your supplier and recheck everything needed, then book the space from the carrier. We or your supplier arrange inland delivery to the airport. We confirm the chargeable weight. We arrange customs declaration and forwarding the goods. We’ll keep tracking your shipment and keep you updated till received. As a valued partner we want to deliver more than just savings, we deliver peace-of-mind. What CFC Can Do for You? You have goods that quickly needs to be moved. You have the dimensions, the weight, the timeline and you find CFC as your China air freight forwarder. We understand that the products we are going to forward are urgent, high-value, time-sensitive or perishable. What we are trying to do is deliver your shipments as early as possible, and make the process smoothly with a competitive air shipment quote. Whether airport to airport, or airport to door, you can rely on us. CFC covers all major airports in China with cheap prices. Depends on where’s your shipment located, and the available schedules to your destination, we’ll choose the best suitable one for you as your loading airport. We rely on qualified partner carriers that are committed to providing safe, efficient and on-time service to importers across the world. Low cost, time definite services, and proof of delivery, that’s we are doing and we are good at it. We are always interested in new opportunities and supporting your business. CFC improves profitability for customers by allowing them to focus on their core competencies while we manage their logistics, providing great air freight solutions. If you choose delivery by air, we’ll understand that you can’t afford customs issues or any hang-ups, and you certainly don’t have time to deal with them. You can just leave the rest to us, once we come to an agreement about the freight charges and the ETA. CFC help customers gain more control over their supply chain, become more cost effective and increase transportation management efficiency. Thank you to all our customers for allowing us to be your one-stop logistics provider and helping deliver peace of mind. Get a free quote now for air freight from China to USA, UK, Australia, Canada and all over the world. We are always ready for your time-critical supply chain management. Learn more about shipping solutions via ocean or express courier.